Download your 2018 conference papers HERE! Think of it as your very own digital paper room. Login using the “Login Here” box feature on the right, and click the “Search/Download Papers” link to search for papers by title, author’s last name and more. Simply click on the title of the paper and download as many as you want. Absolutely free! Attention 2018 AEJMC Paper Submitters: Don’t see your paper? In order to have your accepted conference paper archived by All Academic, you must upload a copy of your paper with author-identifying information and give permission for your paper to be distributed. Contact AEJMC Headquarters for details how. If this is your first visit to the AEJMC 2018 Annual Meeting Site you do not have a user account, and you will need to create a new account. 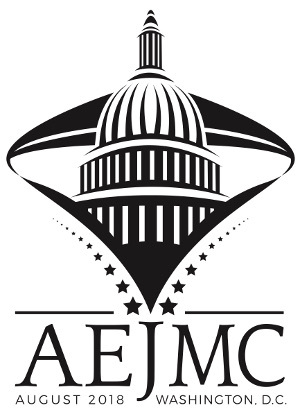 THIS SITE IS INDEPENDENT OF THE AEJMC SITE. THEREFORE, YOUR AEJMC MEMBER LOGIN WILL NOT WORK HERE.